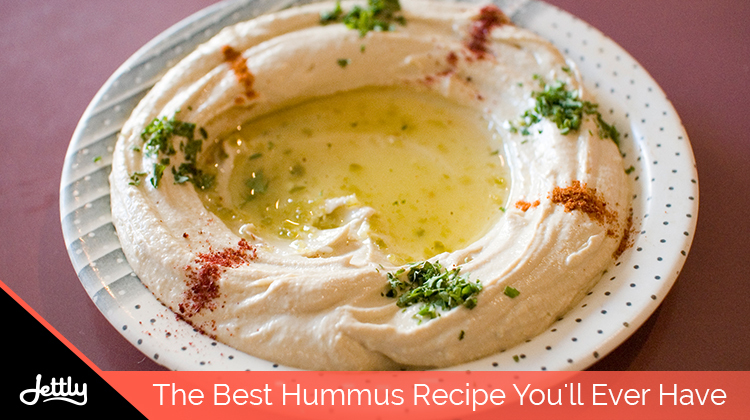 Hummus is the darling of the wellness world. At once healthy and delicious, this vegan treat finds its strength in its simplicity, both in its creation and in its flavor. And while its most basic iteration is built on chickpeas and toasted sesame seeds, its subtle flavor allows it to become a canvas for those looking to make their own spin to the creation: be it by adding basil, sun-dried tomatoes, or a little more garlic into the mix. That said, while the store-bought variety can provide the same health benefits with added convenience, there’s nothing quite like a homemade dish. Here’s a recipe that’s not only sure to give you that wonderfully creamy consistency, but also large enough to last you a week or so. Heat a saucepan or skillet over medium-low heat. Add the sesame seeds. Stir frequently for about 3-5 minutes until fragrant. Make sure they do not burn. Once done, immediately transfer to plate until completely cooled. Once cooled, add the seeds to a food processor. Pulse until crumbly. Add 3 tablespoons oil to the mix, then process further. Ensure that you scrape the bottom and sides, so the mixture is evenly treated. Process it more until it is smooth and pourable. Add more oil and salt as needed. Refrigerate in an airtight jar until needed. First, add the tahini and lemon juice to the food processor. Scrape bottom and sides after 1 minute. Then, pulse for 30 seconds. Then, in the following order, add the olive oil, garlic, cumin, and salt. Mix for 30 more seconds, scrape, then process until fully incorporated. Add half of the chickpeas to the mix and pulse for a minute. Scrape, then add the rest. Process until thick and creamy. Add the chickpea water until all the chickpeas have been fully incorporated. Taste for preference, and add more salt as needed. When you’re often on the go, it can be hard to keep that healthy lifestyle—especially when all you want is a fast, convenient treat to eat. Worry no more: with Jettly Eats, we’re out to provide you not only deliciously cooked fare but also healthy alternatives for a better you. Head to our site and order now.